When the Governor of Washington state formed a commission to examine causes and lessons learned from the tragic Oso landslide which claimed the lives of 43 people, it was no surprise that he tapped Paul Chiles, CRE, to serve as his real estate expert. Paul’s real estate expertise is well-known in the Pacific Northwest, where he is President of Chiles & Company, Seattle. Of Note: Paul, a lifelong Seattleite, graduated from Seattle University and earned a Master’s degree in Public Affairs (MPA) from the University of Washington. He was the first African American hired by Coldwell Banker (now CBRE), which, at the time, had 8,800 employees — a clear testament to Paul’s outstanding talent and vibrant personality. In 1990, he established his own firm. Teamwork: Paul’s firm supports many in the not-for-profit sector, which he finds personally and professionally fulfilling. As a Counselor, Paul has cooperated with other firms such as CBRE on assignments in the Western United States providing seamless talent and expertise while meeting inclusionary goals of the client. Key Insight: “Make a difference; it’s what Counselors of Real Estate do, in our practice and in public service,” Paul says. 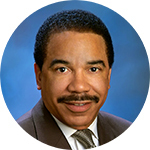 He served more than a decade as a Trustee for Bellevue College, has served four Governors over 18 years as a state real estate commissioner and served multi-year terms on several boards including the Seattle YMCA, YWCA and the Seattle Urban League. In 1999, he received the Seattle University Alumni Professional Achievement Award. 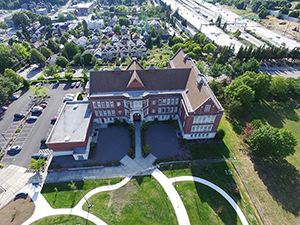 Paul was the real estate powerhouse behind Seattle’s stunning Northwest African American Museum (pictured left), where galleries showcase the history of the Northwest’s African American community and celebrations of its artists and professionals. A current exhibit focuses on the work of local African American film maker Inye Wokoma. Fun Fact: In addition to his passion for real estate, Paul admits to being a “dog fanatic.” He has two show dogs — a Bassett Hound and “Torque,” a tri-colored German Shephard, winner of a “Best in Show” ribbon (pictured right). 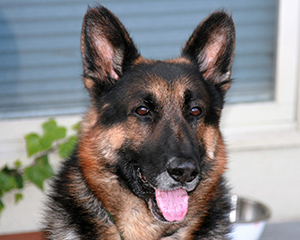 Although invited to participate in the Westminster Dog Show, Paul declined this year; however, he’s VERY pleased that a German Shephard “double” of Torque won top honors there in 2017.